Need new apps for your favorite device? Here are 65 iPhone, iPad and iPod touch apps that just hit the App Store. 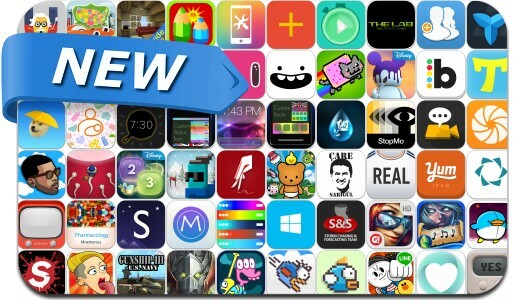 This new apps alert includes Pocket Gunfighters, LINE Rangers, Dudeski, Lost Light, Gunship III, ProTube, Bouncy Bird, ThorolGraffix, Flappy Flying, iMonogram, Cat Threes, Cat vs. Aliens, Jump! Chump!, Chickie Bear, Word Forward and many others. Spermy's Journey - A race to the egg!